Had a dream about this tattoo. 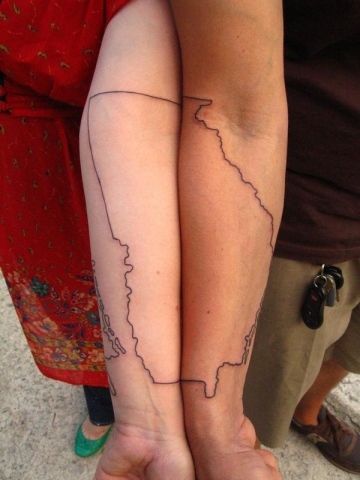 It is the outline of the state of Georgia, where I was born and raised. My brother Jonathan also got one to match. This is what happens when we place our arms together.